Boring, or drilling, holes is an important part of woodworking and plays an even larger role in skills such as metal work. There are a variety of tools for creating holes. Each has its own purpose. A good cordless drill will handle most types of DIY boring. Boring, or drilling, holes is an important part of woodworking and plays an even larger role in skills such as metal work. There are a variety of tools for creating holes. Each has its own purpose. A good cordless drill will take care of most DIY projects, but knowing what tools are available can open up new possibilities. Hand-held drills have been around for centuries. You can still purchase a hand-operated "brace and bit" drill that will do most of what modern drills can, with a lot more work. Corded drills have become all but obsolete in the DIY world, but they still pack more power than cordless drills and have the advantage of running forever without charging or changing batteries. A good cordless drill is a must-have for a homeowner. A 12-volt or larger drill will bore most standard holes and doubles as a screw gun. A cordless, or corded, rotary drill can handle a few holes in masonry and concrete from time to time, but a hammer drill is the best tool for the job. Hammer drills are typically larger with more torque and higher amperage. They have the added advantage of the hammer function that vibrates the bit up and down, much like a jackhammer, which helps cut through stubborn concrete faster than standard rotary drills. Use only hammer drill bits with these drills in hammer mode. A drill press is a stationary drill motor, mounted on a table that allows the drill to be raised and lowered with a mechanical lift. Drill presses can be set to drill at specific angles and use stops to limit the depth of the holes. The motors on drill presses are powerful and many have multiple speed settings for slower drilling in hard metals. This is the best tool for a woodworker or metal worker who bores multiple precision holes in projects on a regular basis. Standard drill presses act much like a standard drill. Other presses are designed to complete a single function. 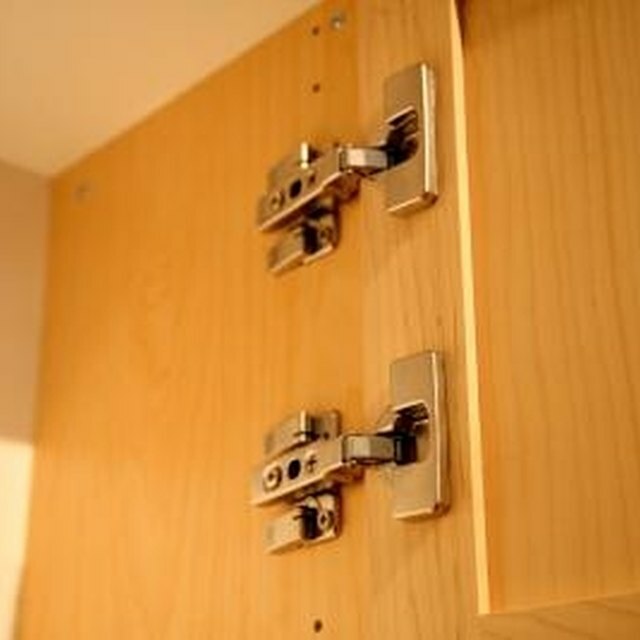 Examples of specialty presses are pocket screw machines that bore angled pocket screw holes on the edges and ends of boards for joints, and hinge boring presses for installing custom hardware, such as European-style cabinet hinges. These tools are very expensive and are typically only found in well-equipped, professional shops.